Are you planning to travel for food? Do you know anyone planning a foodie travel? As you prepare for your trip around food or to help friends/family prepare for their foodie travel, we encourage you to get off the beaten path and experience authentic food. 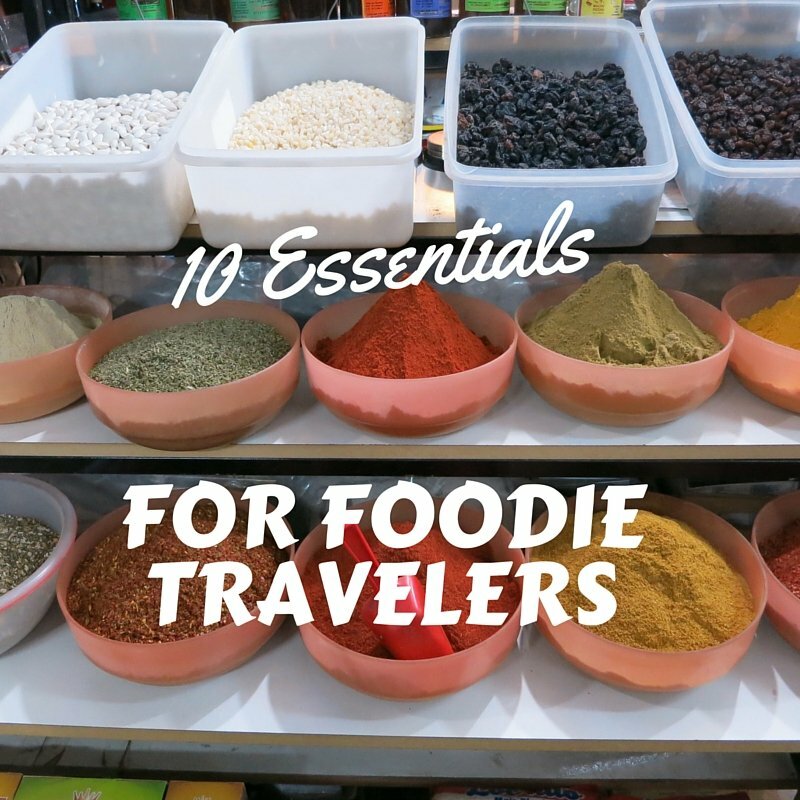 We have been on our quest for authentic food in South America for almost 5 months now and have found these 10 essentials to be highly useful for foodie travel. 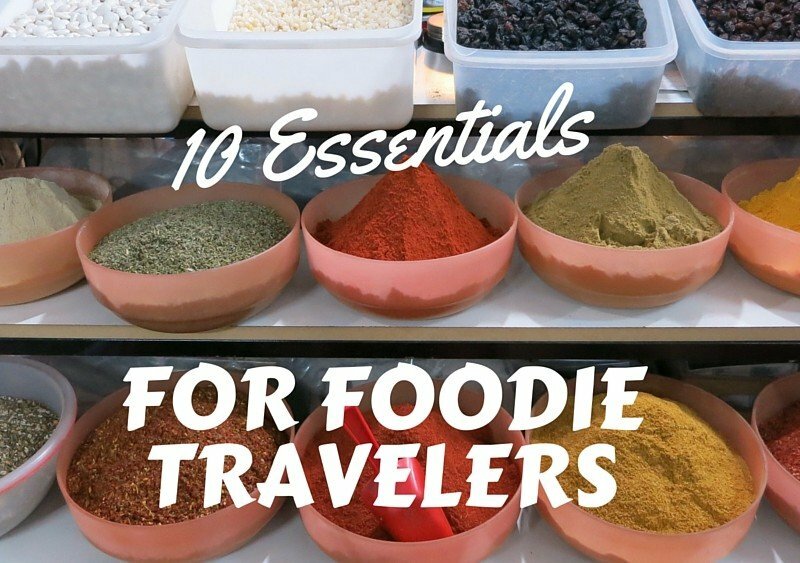 Wherever your foodie travel plans may take you consider preparing yourself with these 10 essentials. On this quest, we found our Spork to be really useful when it comes to eating food on the go or from street vendors. Sometimes when we have eaten food from the farmers market or street vendors the utensils not always clean. The Spork reveals to be very handy in this case. Other time we have found the Spork useful when traveling by bus. Buses do not always provide full utensils and the spork combines spoon, fork and knife in one item! How more practical this foodie travel essential can be! It is also super easy to clean, to pack and to use. We never go out without it! Another foodie travel essential we cannot go without are our SIGG water bottles. Buying plastic bottle adds up and is not eco-friendly. Fortunately, in South America, the water is drinkable in most places we visited. In these cases, we used tap water and would refill our water bottle constantly. The SIGG bottle has a sleek design, it is BPA free and unbreakable. When we are out and about, in more outdoorsy activities, we supplement our water bottles with the Platypus hydration system. For example, we used it when we went hiking in Patagonia, Argentina or when we biked in Valle de la Luna in northern Chile. We love it for its convenience as you don’t need to pull anything out of your backpack to get water. It is “à porter de bouche” meaning that with the hose around you, you just have to squeeze it and you get water! On our trip, we have used many different kitchens, from Airbnb to hostels. One thing that we have noticed is that it is not always possible to find all the necessary kitchen utensils. Our Swiss knife has come handy in many situations using: the can opener, wine bottle opener, beer opener, scissors to open food packages, the screwdriver to screw on panhandles, and the knife to cut sausages, cheeses, other food items. The Swiss knife also comes in handy for picnics and making sandwiches. Its many functions makes it a handy tool for all types of situations. Definitively a must have for your foodie travels. On our journey through South America, we have been lucky to find mostly drinkable water. However, in few cases where the water was not recommended to drink from the tap, we found our Steripen to be very useful. We really like it for the fact that it is very compact, lightweight and easy to recharge. The Steripen has a USB cord and can be recharge from our computers. It works in less than a minute and makes easy to drink water out of the tap. A real necessity for certain countries or to make the water portable if hiking. These Activated Charcoal pills are a great add to your first aid kit. We’ve only had to use them a couple time on our trip so far. It has been after meals that have not sat well on our stomachs or when we felt the activated charcoal could help with digestion. We highly recommend carrying activated charcoal for your foodie travels. They are easy to transport and don’t take much room. We have stayed at Airbnb homes many times on this quest and we cannot recommend it enough. It is a great way to get to know the local people and local culture. It is also a great way to cook on your trip and try many of the amazing local fruits, vegetables and unique products. If you have never used Airbnb, you can use our weblink to get $20 off your next foodie travel with Airbnb. 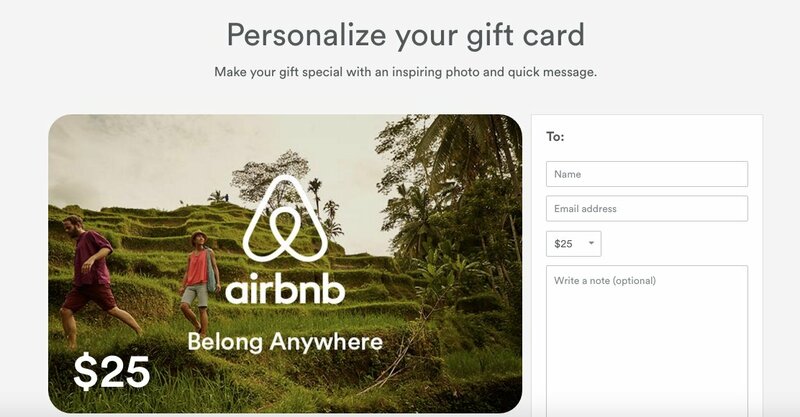 Also, Airbnb provides gift card to redeem online. It is a nice gift to offer travelers you know. When you are on the road for several months or even just a few days, the weight of your backpack or luggage is always a consideration. We love books and reading about a country, culture and food specialties. We decided to invest in Kindles to be able to borrow books from the library or buy books from Amazon. They have been a great purchase considering how many hours we’ve spent traveling on long -haul buses. Reading has made these long trips a bit more bearable. One bonus of the Kindles is the long shelf life. We only need to charge our Kindles once every 2-3 weeks. With the electronics we recommend, you cannot forget adaptors to recharge the batteries for your devices. We found that the best adaptors allow for USB plugs and that can be used in any country. This way, you can use it for the Steripen as well as for the Kindle. A must have for your foodie travel! On this travel adventure, we have found the Lonely Planet guide book useful to get a first view of the country we are visiting. We highlight here the Lonely Planet for Argentina and Peru. The Lonely planet for Chile was not as insightful and you might want to look at other alternatives. Additionally, if you plan to go to Argentina or if you are interested in learning more about cooking with fire, we highlight Francis Mallmann’s book, Seven Fires: Grilling the Argentine Way. You will discover the unique grilling techniques used in Argentina and that makes the meat so tasty and flavorful. It might inspire you to travel to Argentina or try new grilling techniques at home. For Argentina grilling techniques at home, see our article here: 9 Ways How To Grill Like an Argentinian. These are the essential tools to pack when preparing for your foodie travel. Is there anything you would add? Please share your comments below. A travel spork recently saved my meal the other night. I was on a picnic and forgot to bring utensils. The spork worked on all types of food! Thanks Jen. You are so right. The travel spork has come in handy for us on several occasions. And yes, it works with all types of food. Love the handy built in knife edge. I love that you are trying to avoid adding to the immense overuse of plastic water bottles. Such a huge problem globally and so unnecessary in many places. Some other cool ideas here. A friend of mine recently bought an adaptor that had multiple usb ports, which I thought was a great idea, given how many devices we all need to charge these days. I haven’t heard of the activated charcoal before but will look out for it in future. And we haven’t used Air BnB yet but we might look into that as well. Thank you for the tips! My system is delicate and I would definitely need some of this! I’ve never heard of using charcoal for indigestion! Very interesting. We’ve toyed with the pocket knife wondering if it would be worth it having to make sure it’s always in a checked bag when flying. But it sounds worth the slight headache. 🙂 Great list! Hi Danielle. Thanks for your comments. We have had to use the charcoal a couple of times and it is fast an effective. Highly recommend. As for the swiss army knife, it has come in handy several times. It’s worth having it and checking it in. You never when you will need to use it. Cheers! A great list. I love the idea of bringing a spork along with you. Could definitely come in handy. Thanks for sharing. Thanks Megan. The spork has come in handy in many unexpected situations. Something easy to carry and essential to have on your travels. Cheers. We picked up Francis Mallmann’s book in Argentina a few years ago. It’s fantastic. I love finding authentic foods around the world, and you’ve got some great ideas here. A spork and a swiss army knife are essential! Unfortunately our sporks broke during our last trip, so we’ve got to replace them soon! Thank you for your input! Nice to hear that you find the spork and army knife essentials as well. If you need to replace them soon, feel free to use our affiliate link, we greatly appreciate it! You may add a portable battery such as the PNY Powerpack. Hi Tuan! Thanks for the suggestion. Good point, I guess we could do a whole post just on electronic essentials 🙂 We haven’t yet used portable battery though we just got one as a gift from the WITS conference. We typically don’t recommend things on Authentic Food Quest that we haven’t used. Once we’ll have used it we will be able to write a review and add it` to our resource list.